Irvine is a top retirement destination for active adults seeking the California lifestyle. Ideally located in the heart of Orange County, Irvine offers easy access to some of the most popular attractions in Southern California. In December of 2017 the first age-restricted community in Irvine was announced. That community, Travata, is a modern up-and-coming development built by Lennar and it&apos;s now selling its first homes. Learn more about Travata and discover what Irvine has to offer active adults. Development at Travata began in 2017, and upon completion, this gated 55+ community will be home to 243 residences. Buyers will have a good selection of single-family and attached homes priced from the high $700s up to the low $1Ms. Floor plans at Travata feature 1,417 to 1,848 square feet of living space. These finely crafted homes are being designed with low-maintenance living in mind, and they include modern features, such as elevator access for two-story homes, covered patios, and contemporary kitchens. Plans call for a well-appointed clubhouse with high-end amenities. Residents will enjoy access to a fitness center, bar and lounge, catering kitchen, and meeting rooms for community events. Outdoors, a saltwater pool and spacious patio will allow residents to enjoy Orange County’s excellent weather. There will also be bocce ball courts, pickleball courts, a dog park, and a yoga lawn. Irvine is a master-planned community in California’s Orange County, but it once was a mass of land devoted to ranching and farming. In 1960, the Irvine Company sold 1,000 acres of this land to the University of California for their planned Irvine campus. By 1970, the Irvine Company began plans to transform undeveloped land near the UCI campus into a master-planned community. Irvine eventually became California’s fastest-growing city, and is now home to well over 250,000 people. Irvine Regional Park is just one of several scenic outdoor spaces in Irvine. 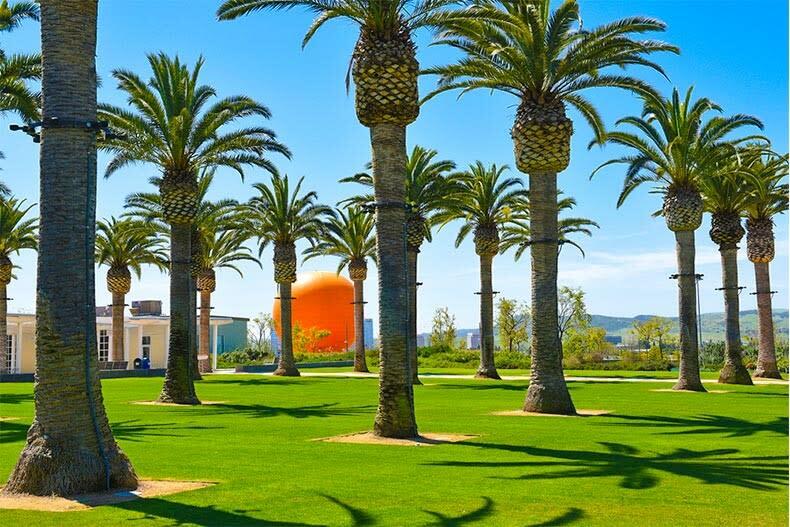 Irvine has nearly 60,000 acres of permanent parks and natural open spaces. Coupled with its great weather, Irvine makes it easy to enjoy an active lifestyle outdoors, nearly anytime of the year. 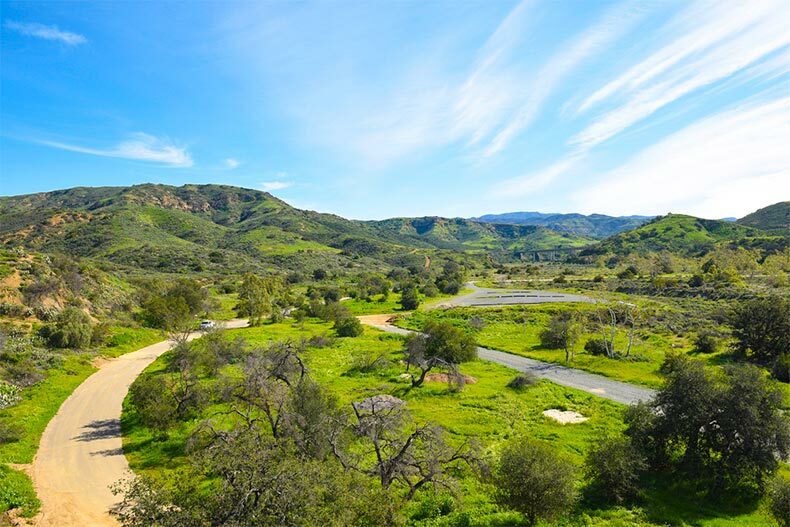 With well-maintained trails for hiking, biking, and equestrian riding, residents can explore the beauty of Irvine’s natural spaces. Popular trails include Bommer Canyon, Quail Hill, Jeffrey Open Space Trail, Shady Canyon, and more. The Irvine Open Space Preserve also encompasses native habitats, such as oak woodlands, grassy meadows, and rare coastal sage. 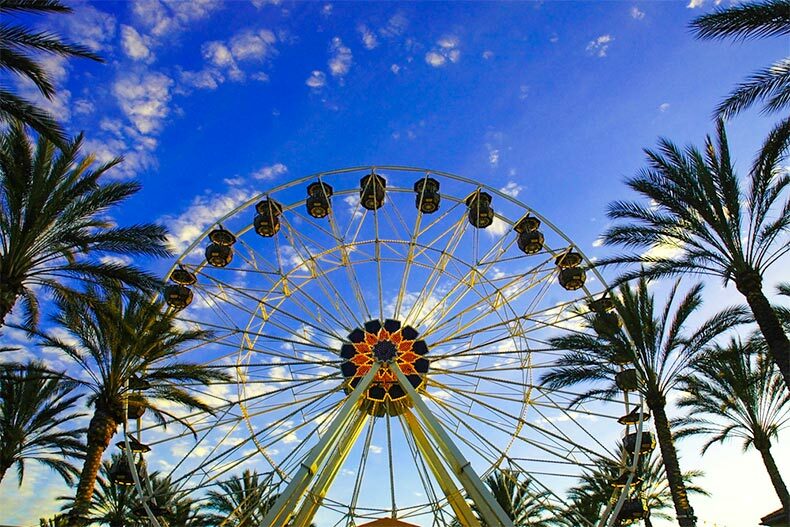 The iconic giant wheel at The Irvine Spectrum Center. Irvine and the surrounding areas are home to some of the best shopping that Southern California has to offer. The Irvine Spectrum Center features 130 of the top national retailers, including high-end designer brands. This popular shopping center is also known for its iconic 108-foot tall Ferris wheel. It also has an IMAX theater and a seasonal ice skating rink. Another top shopping spot is Fashion Island, which features over 150 high-end shops in an open-air layout. Visitors can also listen to live musical performances or grab a bite at one of the top-notch eateries. Less than a 15-minute drive from Irvine is Costa Mesa’s South Coast Plaza, the largest mall on the West Coast. With over 250 high-end boutiques and 30 restaurants, South Coast Plaza is one of Southern California’s premier luxury shopping destinations. The mall is internationally recognized for it fantastic selection of upscale shops and award-winning eateries. One reason why Irvine appeals to active adults is its great selection of senior centers scattered throughout the community. Irvine’s Lakeview Senior Center is available to active adults aged 50+, and its amenities include a game room, craft room, auditorium, cafe, rose garden, and more. It regularly holds classes for dance, fitness, and music, as well as educational lectures about health and other topics. The Rancho Senior Center and Trabuco Center offer additional amenities, including multi-purpose rooms, a fitness center, ballroom, and more. For locals, hitting up the weekly farmers market is a must. 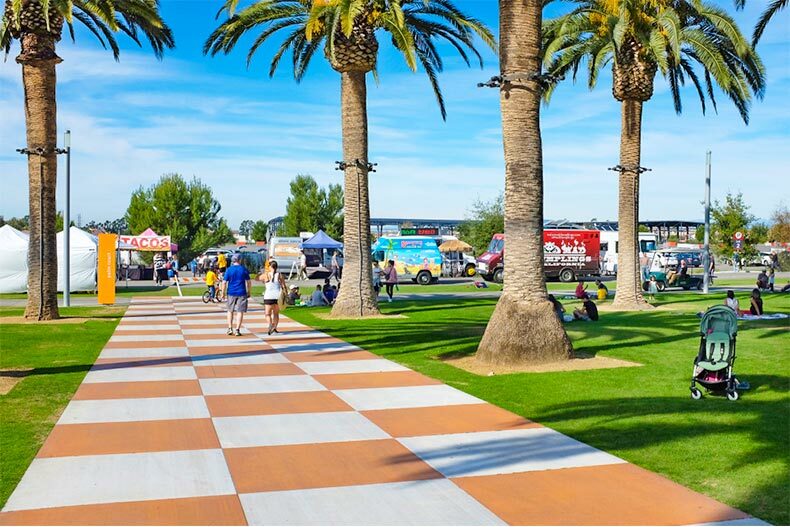 Every Sunday, Irvine residents head to Orange County Great Park to sample locally grown fruits and vegetables, explore kiosks featuring handcrafted artisan products, and enjoy live music. The weekly farmers market is a great way to enjoy California’s weather while connecting with others within the community. The Irvine Fine Arts Center offers art classes, exhibitions, and various events throughout the year. Active adults can hone their skills in ceramics, culinary arts, jewelry, drawing, painting, photography, and more. There are hundreds of classes available designed for all skill levels. With exhibitions that showcase local and regional artists, Irvine residents can enjoy a great selection of contemporary art and other cultural works.